Venture capitalist, venture philanthropist, education strategist, and funder of documentaries. The Common Core State Standards were developed in 2009 in an effort to create more rigorous K-12 curriculum standards in math and literacy. To date, 44 states have adopted the standards. But even with such widespread adoption, the Common Core State Standards are among the most hotly contested pieces of legislation in the country -- and will play a prominent role in the presidential campaign ahead. Why the disagreements? Many conservatives are outraged at attempts to "federalize" the curriculum. Jeb Bush, an ardent supporter of Common Core, is being vilified for his support -- with Donald Trump going so far as to say that support of Common Core will "kill Bush". Chris Christie, a vocal supporter of the Common Core in 2014, now says his views have "evolved" and opposes it. Ted Cruz chimes in, "We need to repeal every word of Common Core!" On the left, Hillary Clinton called the arguments around Common Core "very painful, because the Common Core started off as a bi-partisan effort," but she has avoided taking much of a position. Others on the left express concern about the increasing number of hours that will be spent on testing, lack of teacher preparation, and inadequate curriculum materials. As with many issues in politics, very few people -- even those with fierce opinions -- understand what Common Core is or have actually plowed through the nearly 200 pages of the standards documents. And almost no one is asking the right questions: Are these the right standards? Will they increase or diminish students' motivation to learn? And, finally, how do we assess student performance against these standards? In an effort to implement the policy mandate of "all students college ready," the Common Core state standards have been designed to align with college admissions requirements. Because colleges require all applicants to take advanced math -- at least Algebra II -- this is the math standard that all students in the country will now have to meet, requiring mastery of obscure algebraic procedures that the vast majority of adults never use. In English, high school student writing will be limited to essays on the assumption that skill in writing essays is what is required for college. The ability to tell stories -- an essential tool for making one's point in the adult world -- is not in the curriculum. Even at its best, the new Common Core tests will not assess any of the so-called soft skills that matter a great deal -- and are hard to teach and to learn. Also, because Common Core standards only exist for language arts and mathematics, the time given to teaching other subjects such as science, history, and the arts will continue to decline. New York City schools, for instance, saw an 84 percent decline in spending for arts supplies and equipment between 2006 and 2013. What's worse, 20 percent of the schools do not have an arts teacher of any kind. But in our current high-stakes testing environment, schools are pressured to spend ever-increasing amounts of class time on the subjects that will be tested. There is the question of whether the Common Core curriculum will result in students working on material that is merely more difficult (and more frequently tested) rather than spending time on content that actually interests them. 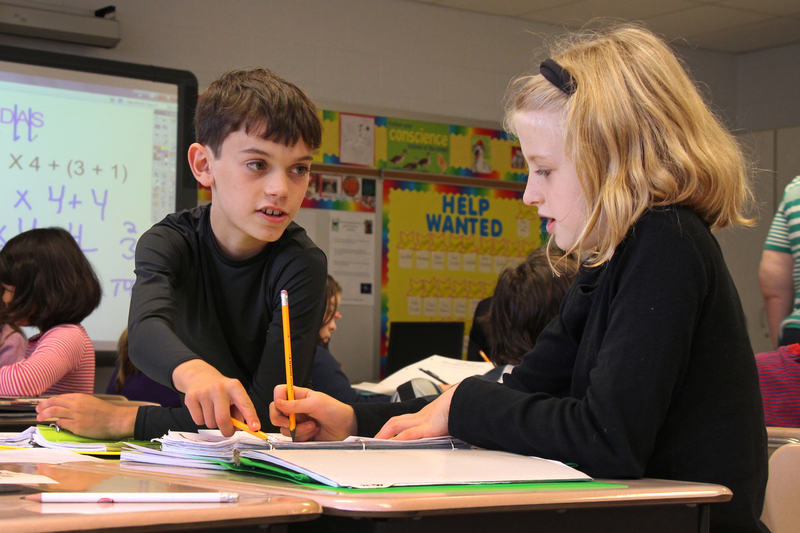 Will students be more actively engaged as learners with the new curriculum? In one popular video about recommended approaches to teaching the Common Core, teachers are encouraged to spend eight days teaching Martin Luther King's famous "Letter from Birmingham Jail." There is no suggestion that the teacher might want to explore students' experiences with racism or other topical issues. Teachers are supposed to require students to "just stick to the text" in the discussions. Outstanding urban teachers who have seen this video laugh at it. One told us, "This guy wouldn't last a day in our classrooms." While we agree that far too many high school discussions lack rigor, a consideration of literature that eliminates any questions about students' emotional responses, prior experience, or current events is an exercise in pedantry. One of the most important tasks teachers have today is helping students understand why learning something should matter. Why should they care? "Because it will be on the test" or "Because you might need it someday for college" simply don't suffice as answers. Finally, there is the question of how these tests will be graded. We'd like to believe that each of these tests are carefully pored over by a top teacher in the field, someone with the expertise to make judgments and the time to make them thoroughly. But that's simply not the reality. As the New York Times recently reported, many of the graders hired by companies like Pearson have little or no teaching experience. They are incentivized with bonuses if they hit "volume targets" -- even in the face of evidence that bulk grading of this sort doesn't work. So what is the alternative? Is Common Core, to paraphrase the old line about democracy, the worst system except for all the others? Let's look at Finland. They have a curriculum standards framework, which is only a few pages long. Local municipalities are encouraged to adapt the national standards to the needs and interests of their students. More importantly, there is only one national test: the high school matriculation exam. Teachers from neighboring municipalities assess one another's student work, and they aren't penalized for low student scores. Students can choose most of the courses they want to be tested in, and they take the test over if they are dissatisfied with their results. And yet, in the face of what may seem like lax standards and enormous flexibility for students and teachers, Finland has one of the highest-performing education systems in the world, according to the internationally-benchmarked PISA tests. Here in the U.S., The New York Performance Standards Consortium is a group of 48 high schools that have developed common performance standards and assessments In English, Math, Science, and Social Studies. In order to graduate from high school, All students must complete a literary analysis, analyze an event in history using primary sources, develop and test a hypothesis, and use math to solve real-world problems. They choose the content for their projects based on their interests, and their work is graded by teachers from other schools in the consortium. These schools serve a high percentage of disadvantaged students, but they send a significantly higher percentage of students to college than comparable schools, who take the high stakes New York Regents Exams. It's a simple formula: fewer, higher, more flexible performance standards, which are developed and graded by real teachers, plus less formulaic testing and stress = more real learning. This post is based on content from "Most Likely to Succeed: Preparing Our Kids for the Innovation Era" by Tony Wagner and Ted Dintersmith.